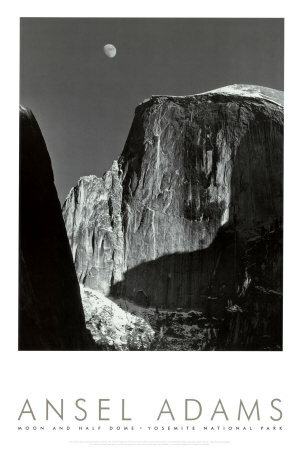 Moon and Half Dome taken in Yosemite National Park in 1960 is just one of Adam’s iconic landscape photographs. 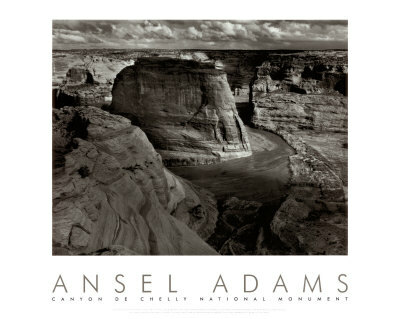 Ansel Adams was an American photographer as well as an environmentalist. His black-and-white landscape photographs of the American West have been widely reproduced on calendars, as posters (like the ones in this post), and in many volumes of books. Adams is also known for developing the Zone System with Fred Archer, as a way to determine proper exposure and adjust the contrast of the final print. The resulting clarity and depth from using this system characterized his photographs. Adams also used large-format cameras because of the high resolution of this type of camera and helped ensure sharpness in his images. 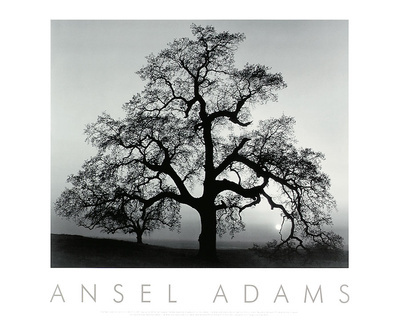 Adams founded the San Francisco based photography Group f/64 along with fellow photographers Willard Van Dyke and Edward Weston. 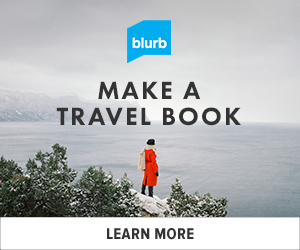 They decided to organize some of their fellow photographers for the purposes of promoting a common aesthetic principle.